BEING a mum of three is practically a full-time job in itself, so for Noemi Jocson, building her career while raising a family has been a huge undertaking. However, it has also been a rewarding experience. 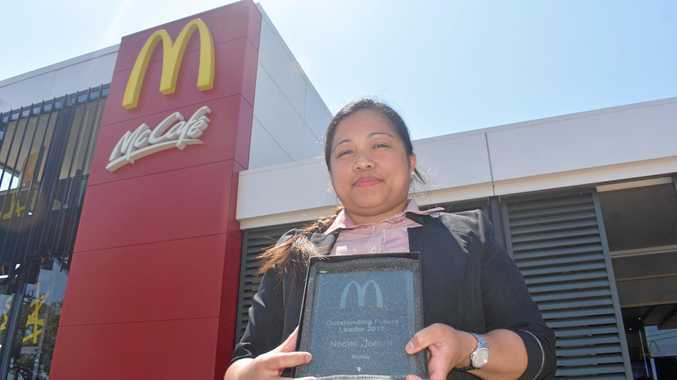 Over the last six-and-a-half years, Mrs Jocson has risen through the ranks at McDonald's Roma to be appointed restaurant manager, and achieved a Diploma in Business through the company's training. Her effort and dedication was recently recognised at the Queensland state managers' meeting, where she was presented with the company's prestigious Outstanding Future Leader award. Thinking back to her first day on the job, Noemi said she started from the bottom. "It was six years ago, nearly seven, that I started as a crew member working in the dining room, cooking fries and cleaning. "I had a very humble start and it's been a journey ever since,” she said. Noemi spent every shift at McDonald's mastering the skills for each area in the restaurant. She became a crew trainer, then a shift supervisor, and moved on to be a department manager. For owner-operator Marc Benson, Noemi's Outstanding Future Leader Award shows she is more than a manager - she is also a role model. "We as a store are really proud of her. Mr Benson said she sets a shining example for her peers. "I believe it's good for all of our staff, and other people to see that there is career growth here if you have the drive to pursue it. Flattered by the kind words from her boss, Mrs Jocson said she is grateful for the opportunities and training that has been offered to her. 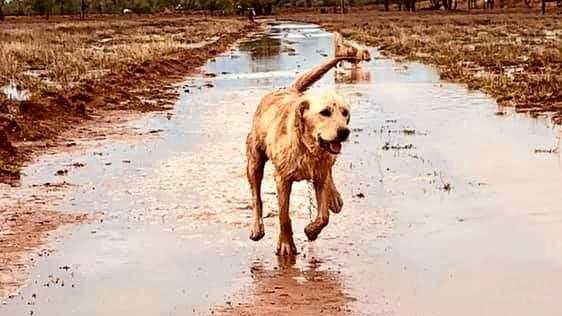 "It's lovely that the Bensons have helped me come so far and that they trust me in this job. "I'm just so grateful for all the opportunities,” she said. As a role model to her crew members, Noemi wants to encourage them to take the opportunities available to them, and is impressed that a number of them have considered manager training. Reflecting on her progression and growth over nearly seven years, Mrs Jocson said there was one stand-out piece of advice that she would give to anyone trying to build a career.